t*rexes and tiaras: Who's that I see walking in these woods? I know that capes are probably a taboo subject this week, but this was one of my favourite outfits from the past week or so, so here it is. I think this outfit consists of a lot of my current wardrobe fall-backs. 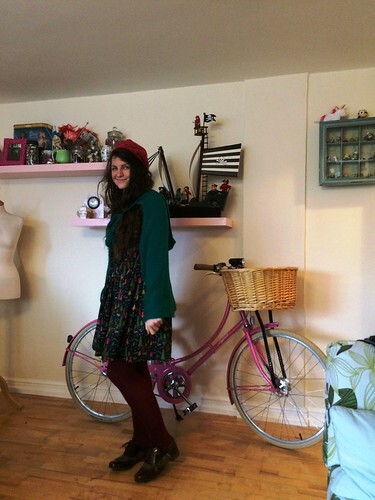 I've worn this Little Red Riding Hood print dress quite a few times already, since I made it. 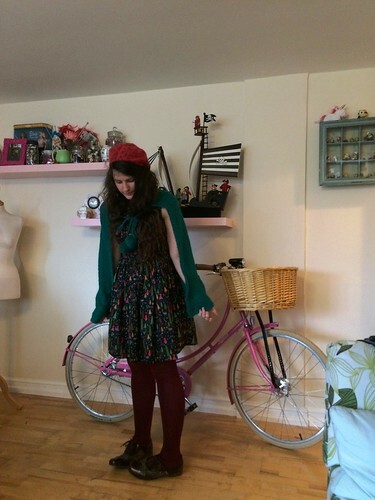 I love the fact that the range of colours lend themselves to being matched with all kinds of colours. And obviously I couldn't resist teaming it with this cape. I've been loving these brogues a lot lately as well. 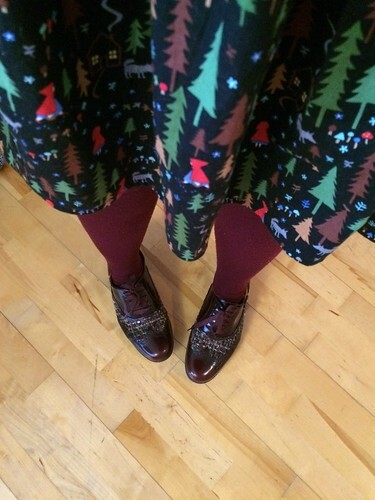 And thick coloured tights are always a winner whilst the weather threatens to turn snowy, again. Ha, did you hear about the Madonna cape thing at the recent awards ceremony? This is such a cute outfit, I love that you paired the red riding hood dress with a cape. I was so close to buying a cape in a charity shop today but wasn't fully convinced I liked the feel of the wool. 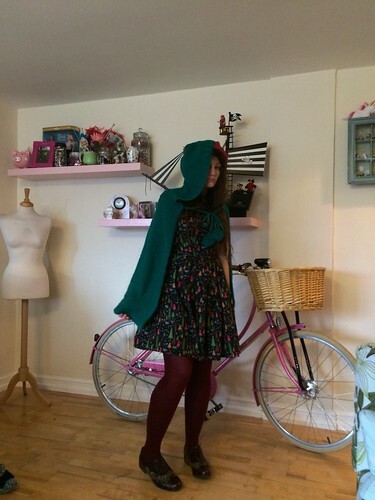 I even had this cape in mind when I was making the dress, so I'm glad I remembered to wear them together. Ooh, I did consider sending one but I didn't know if it would be well-received! Hah love the cape! Very topical. This has a Christmassy feel to it! Yes, I guess the red and green together are pretty festive. Did you hear about the Madonna / cape incident recently?